Ayurveda is built upon the principles of the five elements: earth, water, fire, air and ether (space). 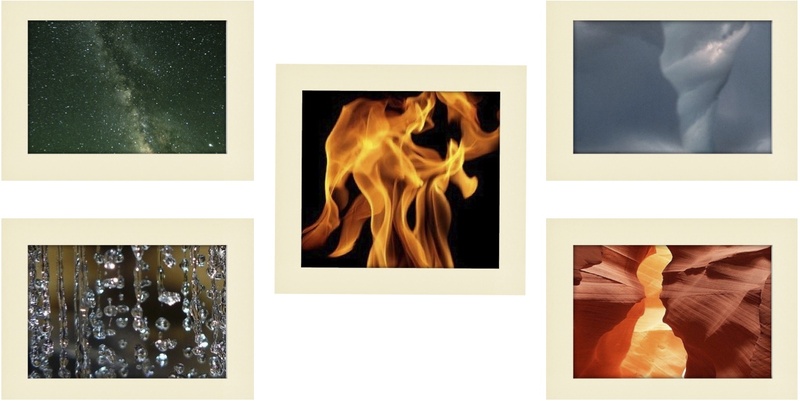 Everything is composed of all five elements, but typically one or two elements predominate. Ayurveda teaches us to recognize and balance these elements with “ahara.” Ahara is everything that we take into our body, senses, mind and spirit to nourish our vital life force of prana. It is the food from our diet, the animals and plants in our environment, our thoughts and daily communication with others and our lifestyle choices at home and at work. Working in a garden for example puts us in touch with the earth and water elements, and increases inner stability through communion with nature. In contrast, running through meeting after meeting in a hectic work week increases air and ether within our bodies and can disrupt our peace and calm. By continuously balancing the five elements around us, we can turn inward to understand our personal nature, become more grounded and achieve greater health and wellness. In our bodies, the elements present themselves in many ways. Earth is the element of our skeletal structure, supporting our bones and ligaments and providing strength for our joints and tissues. Water lubricates these joints. Water provides the moisture in our saliva, the blood in our veins, the tears in our eyes and the mucosal lining through our respiratory, digestive and alimentary tracts. Fire stimulates our hunger, lights up our eyes and ignites with emotional turmoil. Air is responsible for the very breath we take and powers every movement we execute. And lastly, ether is the space that exists within and around each cell of our body. It is the gap between matter that allows us to connect with our subtle body (sukshma sharira)and inner consciousness (atman). Together, these elements are our life. Ayurveda helps us become more in tune with them and restores balance within our bodies and in the world around us.